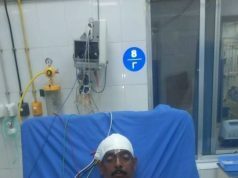 Bhubaneswar: Doctors at the Apollo Hospital’s ENT Department in Bhubaneswar come across a lot of unusual situations in emergency. One very rare case they came across recently is when they found a led bulb in the left main bronchus of an eight months old baby girl. An eight months baby girl ingested a foreign body into the airway. 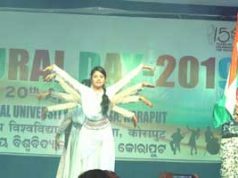 She was from Brajrajnagar, Odisha. She developed cough and difficulty in breathing and her parents took her to a nearby hospital. They were referred to a tertiary care medical college & hospital as the baby girl was highly restless and irritable. An x ray was done and a foreign body in the lungs was found which could not be removed at their centre. 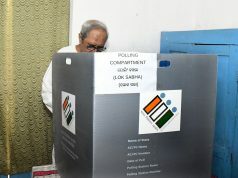 Therefore they were referred to Bhubaneswar. The parents decided to bring the child to Apollo Hospitals, Bhubaneswar and they reached the emergency department at around 3.00 AM in the morning. While attending the baby the doctors found that the child was medically stable but she was irritable. After going through the reports and examining the patient the doctors were surprised with the led bulb in the left main bronchus in such a small child. The child was immediately shifted to Paediatric Intensive Care Unit. After few blood tests she was shifted to the operation theatre. 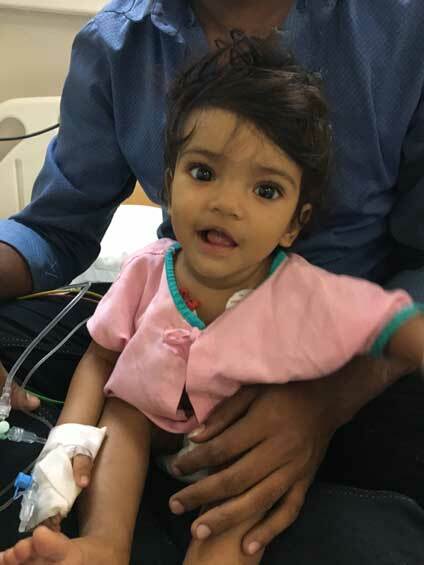 A team of ENT doctors comprising Dr S Gupta, Dr S K Pradhan, and Dr K K Jena, and Anaesthetist Dr Jitendu Mohanty faced lot of difficulties while removing the foreign body as the child was very small and her airway was very narrow. They could not negotiate the ventilating bronchoscope (instrument used for foreign body removal from bronchus) because of the narrow windpipe and the oxygen level of the child was going down quickly. Finally with an optical forceps one wire of the led bulb was caught and removed slowly without any complications. The child was shifted back to PICU after the procedure where she was managed by Dr P K Dey. She improved gradually and was discharged the very next day in stable conditions. Foreign bodies in ear nose and throat are common but in airway it’s rare but life threatening, said Dr. Sanjeev Gupta, Senior Consultant of ENT Department of Apollo Hospitals, Bhubaneswar. Most common age group is 1- 3 years. Below 1 year of age it is unusual to find a foreign body in the airway but if it happens it is a medical challenge to manage these patients. When children ingest foreign bodies they develop cough, difficulty in breathing, stridor and sometimes bluish discolouration in lips and body, opined Dr Gupta. These are life threatening situations and should be referred to tertiary care centres with equipments to remove it immediately added by Dr S K Pradhan. Delay in reaching hospital will delay the treatment and can be life threatening, he said and added that doctors here at Apollo Hospitals Bhubaneswar have successfully managed many cases of foreign body from the airway.